Airlie Beach Campervan Rental is your best bet to glimpse the pictorial views of the Whitsunday Islands as well as the hinterland and enchanting white sandy beaches. There are quite a few options for Motorhome Hire Airlie Beach as this is among the most popular tourist destinations within the country. Search for a vehicle ideally suited as per your requirements depending on whether you're travelling on your own, as a couple or with a group of friends. Set off on a road trip with Campervan Hire Airlie Beach and soak up the sunshine on the beautiful beaches for a memorable holiday experience. 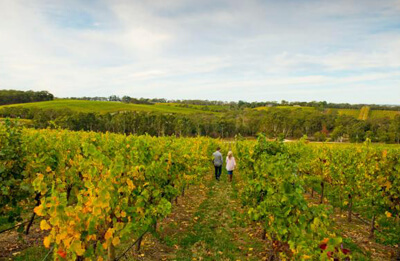 Make sure your Campervan Hire Australia trip includes these beautiful mystical landmarks. 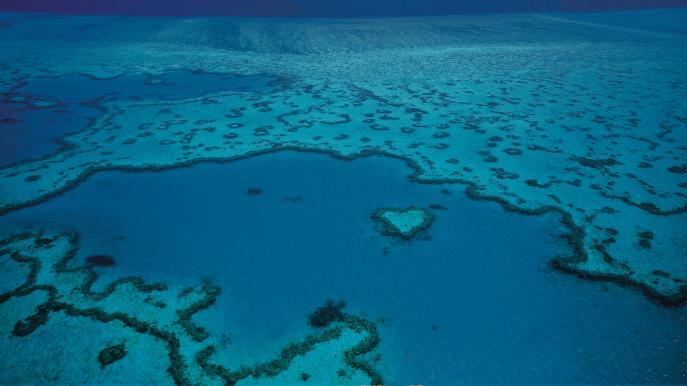 The Great Barrier Reef is among the greatest wonders of the natural world. This is definitely a "must-see" attraction for any visitor to this region. This vivid living reef continues to flourish just off the charming coast from the Whitsundays. Get set for an unforgettable experience when you see the colourful corals and marine life. 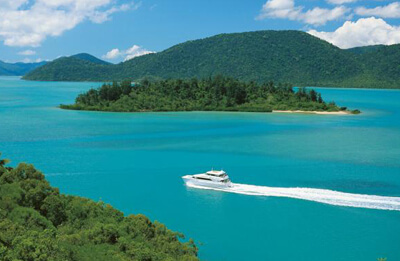 Cruise through the Whitsunday Islands and explore the marvels of wonderful Whitehaven Beach. Look forward to the ultimate Whitsunday Islands experience as you embark on a day's adventure of swimming, scuba diving and snorkelling at the incredible inner-reef sites. Soak up the splendours on a scenic flight and drive your Motorhome Rental Airlie Beach down the coastline for unsurpassed views. 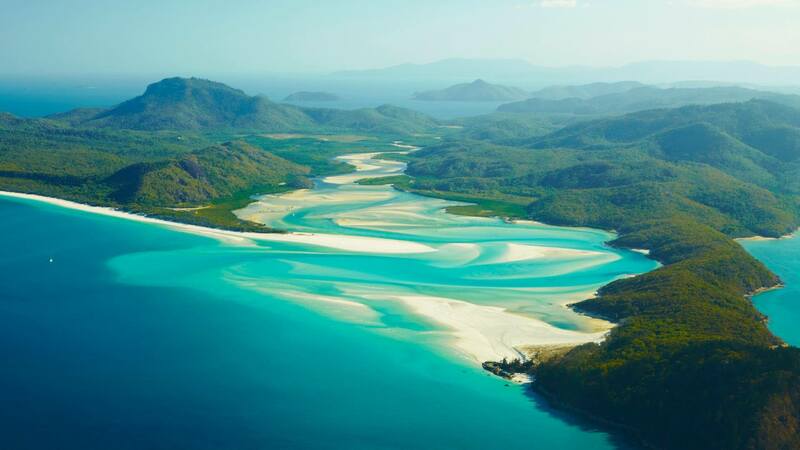 Explore the famed silica sands of Whitehaven Beach and take a trip to the impressive Whitsunday Islands National Park. Build sandcastles with your kids on Airlie Beach during the day and savour fish and chips at night. The Airlie Beach Lagoon is located in the centre of Airlie Beach and is the focal point of the area these days. Spend a memorable day at the Lagoon with your family and expect a day of ultimate relaxation. This is a superlative spot for sunbathing, simply unwinding in the shade and reading a book. The lagoon is bordered by landscaped gardens which enhances its aesthetic allure. Cannonvale Beach is a lesser known yet equally scintillating spot. The National Park tracks lead the way behind Airlie down towards the protected coastlines en route to amazing lookouts. Take a scenic drive in Airlie Beach Motorhome Rental towards the cascading waterfalls and blossoming hideaways. The Proserpine River wetlands are a breath-taking ecosystem and a must-visit attraction on your Campervan Hire Airlie Beach getaway. Proserpine River's estuaries are the glorious abode of the dreaded saltwater crocodile. 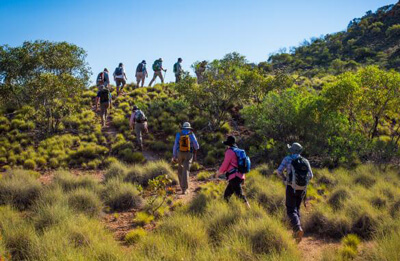 The eco-friendly tours traverse melaleuca forests, wetlands and marine mangroves and offer opportunities to sight lots of resident birds and mammals. Conway National Park is a serene coastal park which is the dwelling of secluded beaches, rainforest-clad hills and breathtaking outlooks over the Whitsunday region. This park includes the remarkable rainforest-clad Conway Peninsula and safeguards the biggest region of lowland tropical rainforest within Queensland. Rugged, rocky cliffs provide a far-reaching backdrop to the Whitsunday Passage and islands. Get set for an amazing culinary experience on your Campervan Rental Airlie Beach holiday. Fresh regional produce and succulent seafood features prominently on menus and the simple flavours of the region simply shine through. Try the delicious pork belly or porcini mushroom arancini when you stopover at Mr Bones, famed for its warm ambience and top-rated tapas. BIG4 Adventure Whitsunday Resort is a prize-winning holiday park. It is the perfect spot for relaxing with your family after a hectic journey and is also a convenient re-stocking option. Island Gateway Holiday Park is located in Jubilee Pocket and is a tranquil spot. Seabreeze is in close proximity to the waterfront and is the perfect stop for a laid-back cruise. Set off towards Peter Faust Dam to try a bit of fishing on your holiday. This is a fabulous place for waterskiing as well. Shute Harbour is a preferred hike amongst locals and includes sheltered beach hideaways along the track. For added thrills head towards Hydeaway Bay, Dingo Beach and Cape Gloucester and chill out on the beautiful beaches.